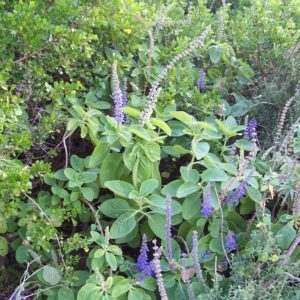 Woolly plectranthus is a robust erect shrub up to 3 meters tall with a woody base. 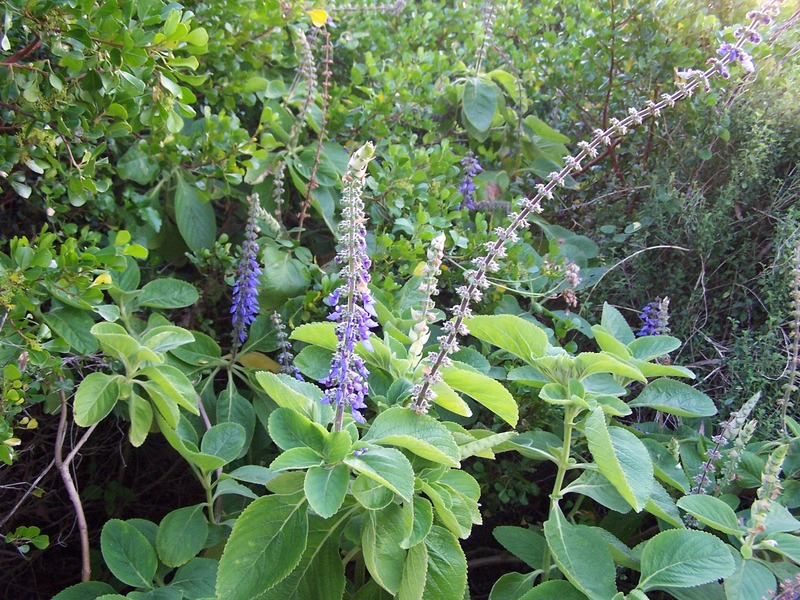 The stems and leaves are densely woolly. Leaves are large, usually more than 100mm long and 47mm wide, light green above and grey-green below.